The Cypher statement below creates the most simple interaction that we have. 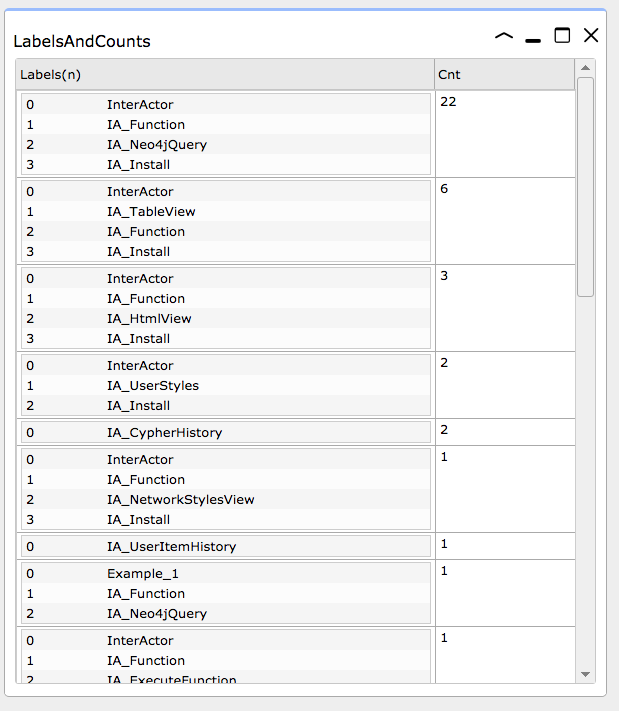 It creates a :IA_Neo4jQuery node that , when activated, returns the count for every label combination in your datastore and uses a TableView to display the results. Copy this statement to the Cypher panel in InterActor and click the [Execute] button. InterActor will process the statement and return the :IA_Function nodes that were created. 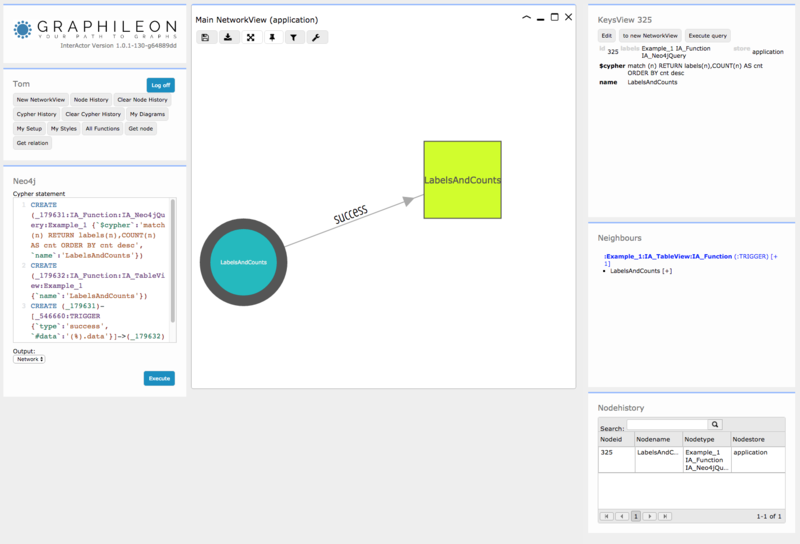 If you select the node representing the :IA_Neo4jQuery (the blue circle), the KeysView panel at the top right corner of your browser window displays its properties, as well as an [Execute query] button.